Calling all moms, dads, grandparents, aunts, uncles, God-parents, soon to be parents…. Today’s the BIG day!!! 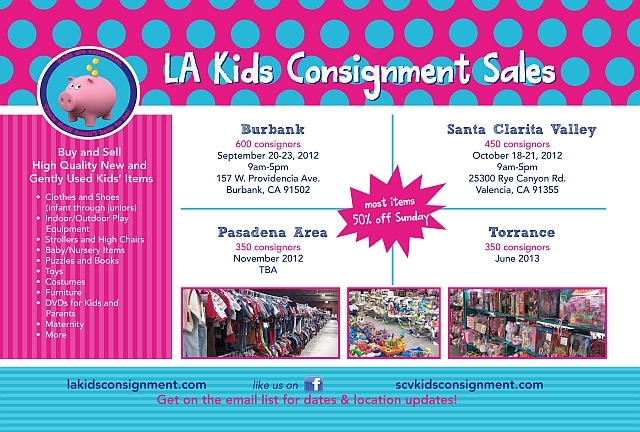 The moment many parents have been waiting for, LA Kids Consignment Sale (Burbank) kicks off today. The VIP pre-sale is today, but the sale is open to the public starting September 20 – 23! And remember, the last day is 50% off. Over 95,000 items are up for sale. I took a peek at the location this weekend and it’s truly one of the biggest sales they’ve had! (Congrats Kristin). ← BIG Celebs… little stars = A Fab Event!